KING OF PRUSSIA, PA – The Valley Forge Tourism & Convention Board just made planning a Montgomery County experience one step easier. Visitors to valleyforge.org can now book experiences and tours directly through the website, thanks to a new integration with OnceThere. OnceThere serves as an aggregate that can pull multiple point of sale systems into the VFTCB’s website. With that integration, the tourism board’s website can provide one-stop-shopping for visitors. 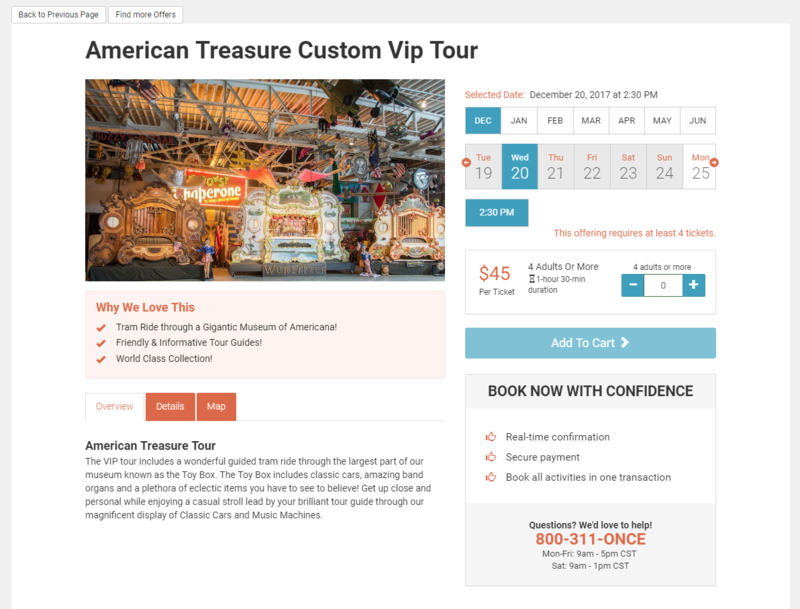 A guest looking to book a weekend trip to Montco might click on valleyforge.org, and once there, can find, select and instantly book in-destination activities, such as online reservations for attractions, tours, and even seasonal hotel packages. Most attractions’ non-assigned seating online ticket systems are compatible with OnceThere. Even VFTCB members without a point of sale system can opt-in to the program. 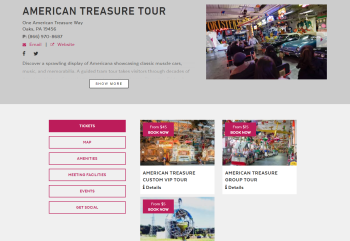 So far, American Treasure Tour and Riverbend Cycles have signed up for the service. Several more have expressed interest in OnceThere, and the VFTCB hopes to get as many members on board as possible. Isaac Brooks, Community Relations Manager for the American Treasure tour, said they’re grateful to have such an important tool that’s already improving visitor access and helping to track online sales. OnceThere has been integrated across 54 markets with more than 3,000 live activity products. Austin, Texas, was the pilot city for destinations using the platform, and the VFTCB is among the first since to integrate the service this year. As part of the partnership, the tourism board will also have the opportunity to place a point of sale machine with a traveling kiosk, or at a visitor center in Montgomery County. Click on images above for full-size images.